Is this not just about the coolest thing you've ever seen? 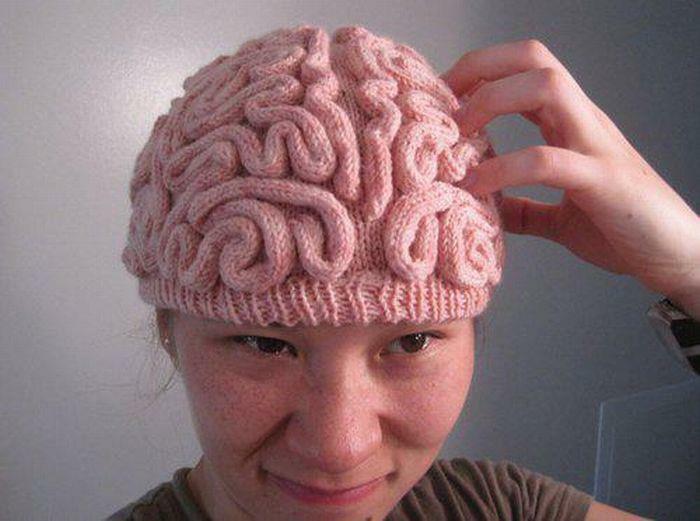 My knitting talent doesn't quite stretch that far, but luckily I have a sister who DOES have the appropriate talent. I think I'll have to commission her to make me one. See folks, I have at least 2 twin sisters. Sure, we're separated by different parents, different birthdates, and sometimes a few thousand miles, but we're sisters. And here's the best part: we share a brain. It all started when I met Amy in grade school. Not only was she a really neat kid to hang around (I still remember our flights of fantasy about "diamond horses" in grade school), her folks had actual, living, breathing horses. You should know by now that I'm a horse addict. Her folks are really cool too--they took me on vacation with them. I still call them Mom II and Dad II. Even then, Amy and I had fun telling people that we were sisters. I'm tall and blonde, Amy is a little shorter than I am and has gorgeous black hair. Those vacations are the stuff of legend. I could tell you about all the little fun bits but I think I'm going to keep you hanging for a while. We've been best friends for almost 30 years now. About 15 years ago (isn't it amazing how you can lose track of time? ), she told me that we had another sister that she'd met at Wichita State. Amy said "either you'll love each other or you'll kill each other." Well, it's a good thing we didn't kill each other. My second twin is Lorrie. Lorrie was born in the Azores to a military family. Of course we hit it off--we had archaeology in common, and soon found many more ways to interact, including belly dancing. I can honestly say that I have never had the urge to kill either Lorrie or Amy. It's probably because we share a brain. I know, I know. You're screwing up your face right now (quit it, it'll stick that way!) and shaking your head. Each of us has our own special talents, and they're not limited to any one of us. We're all creative--Amy loves art (but is still very practical) and does well at whatever she sets her mind and hands to. She used to blow me out of the water when we took a jewelry making class together. Lorrie took a big leap of faith and started her dream--she runs a yarn shop and teaches classes--and from what I've heard, is not only having great fun, but making an impact. She has an incredible talent when it comes to anything having to do with yarn and needles. Me? I'm not where I thought I'd be 15 years ago, but I have 2 beautiful kids (that have extra doting aunties! ), the farm I always wanted, and have found my niche as a writer. Still, you all know the feeling when you have one of those "stupid" days. You know, those days when you just can't do anything right. Well, I figure that on those days, one of my twins must have needed the brain more than I did. That's OK. We've tried to figure out how to warn each other when we'll need the brain, and it seems to work. Some days we get caught off guard, but it's all good. It all gets laughed off as "somebody else must have the brain today!" I hope that you're all as fortunate as I am to share a brain. Amy and Lorrie, I wouldn't ever want to be without you. (Ernest and Judy, and you too, Kesslers, Cliftons, and Smiths. I love you and appreciate you too!) Family isn't limited by blood. It's defined by heart.